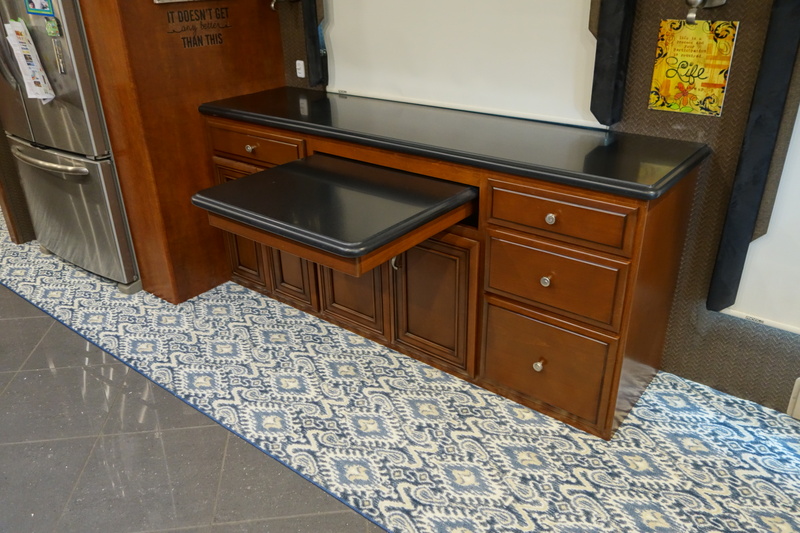 The Executive Desk is the ultimate in storage and accessibility. 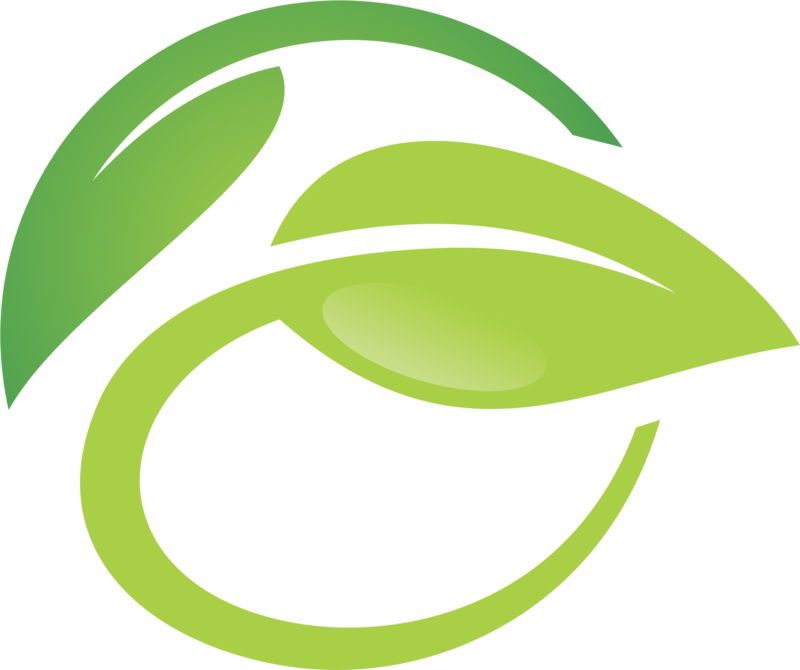 It features a legless table in either Corion or hardwood top with one leaf. it can be customized for office work, storage or a combination of both. 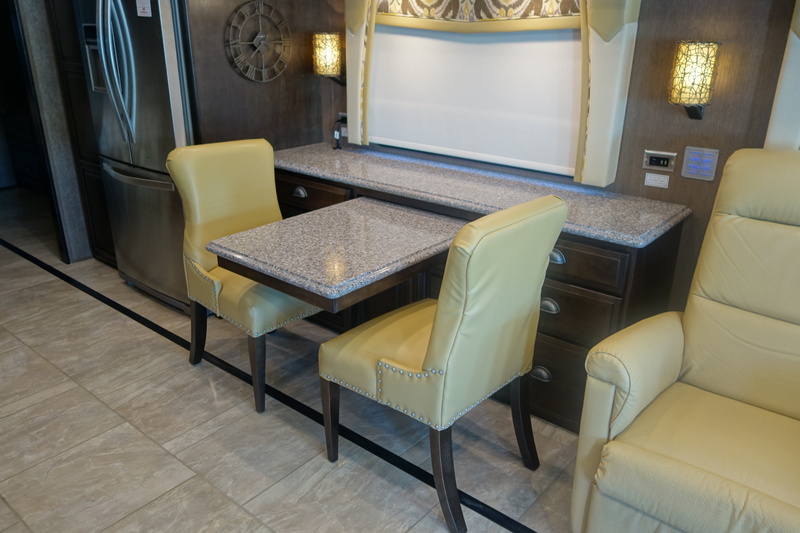 The spacious center cabinet features adjustable shelves and has room to store the table leaf. Built to match your wood color and decor style, it can be made as a tri-level or a flat top desk. Treat yourself today to the luxury and style of this full featured desk. Here is a Maple finished Executive Desk with Corian tops. Designed for office and computer work, it features a file drawer, a pullout shelf for printer storage, and a pullout laptop shelf for working convenience. Add in a few storage drawers and some adjustable shelves and you have a full fledged office desk that you can be proud of! This Executive Desk was built in the Flat Top version. It is made of cherry hardwood with hand glazed doors and drawers fronts to match the coach color. 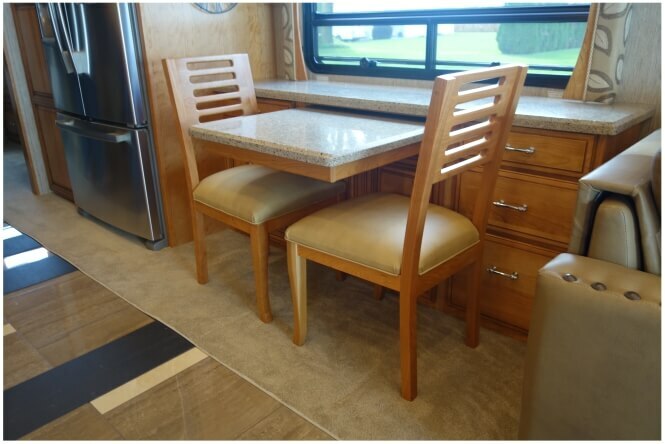 As can be seen by the photo, there is plenty of room for the two dining chairs in front of the desk. 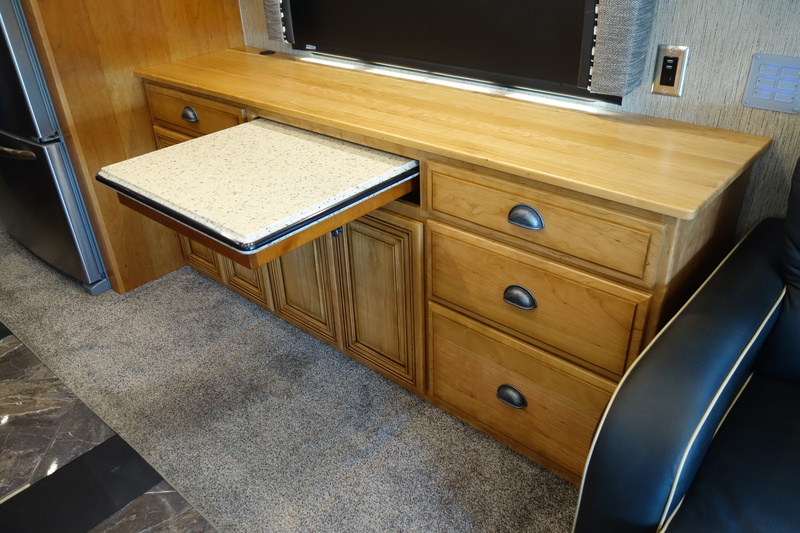 Another fine example of the Executive desk built to match the existing decor and wood finish of the customer's coach. This desk is finished in high gloss maple Euro style doors and modern hardware. 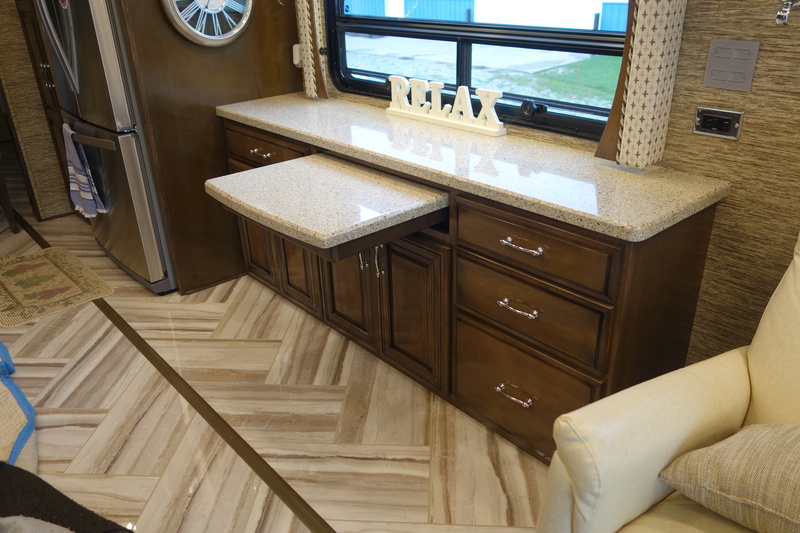 It has drawers on both sides for maximum accessible storage and convenience.